M-F 8:30 a.m. - 10 p.m. Sat. - Sun. 10 a.m. - 10 p.m. Within SiteManager, click on the Edit button next to the page you want to edit. In your browser window navigate to the page you want to edit and hit the esc key on your keyboard. 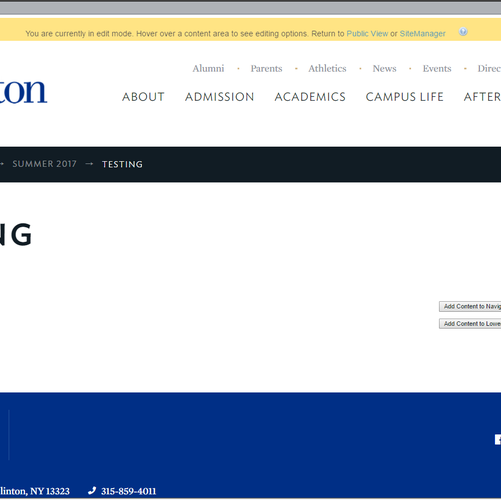 If you navigate to the page and you are not logged into My Hamilton, you will be prompted to login. Your page will appear the editing tools layered on top of it, shown below.